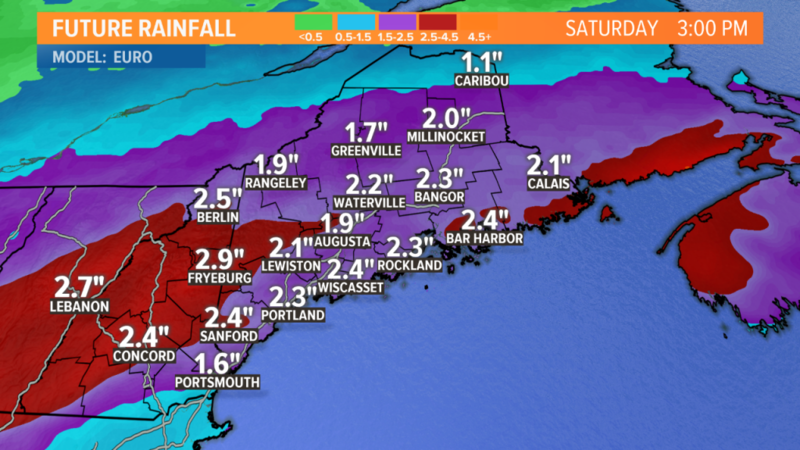 Heavy rain is on the way starting Friday and continuing into Saturday, a continuation of a very wet fall. Soaking rain is on the way for Friday into Saturday. It won’t be raining the whole time, but when it rains it can pour. It’s a wet fall so far. 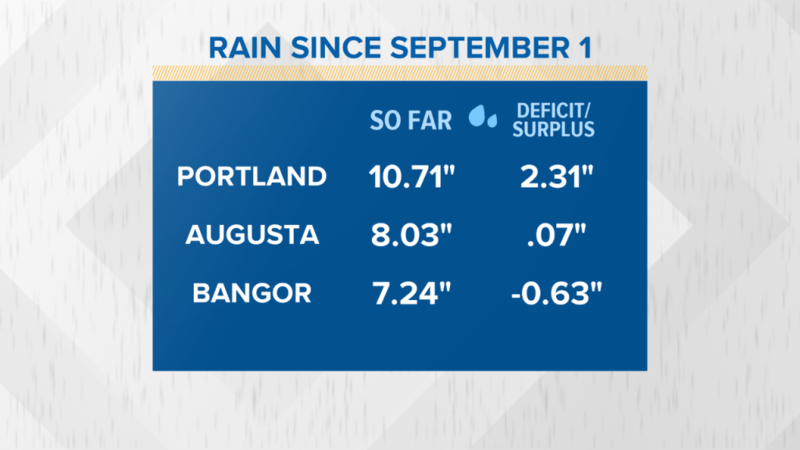 With over 10 inches of rain in Portland through Oct. 30, we’re running 2.31 inches above average. This is needed rain; it was a pretty dry summer along the coast. Thursday will be mostly dry, but cloudy and cool. 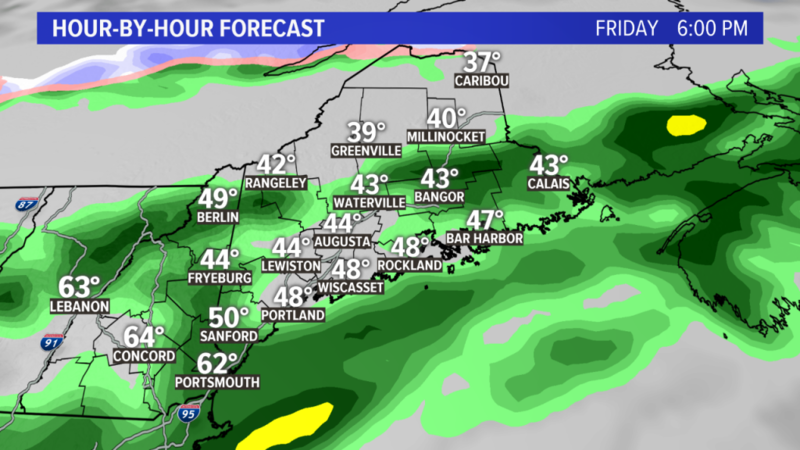 Temperatures will stay in the 40s in the mountains and northern Maine and only be around 50 degrees elsewhere. 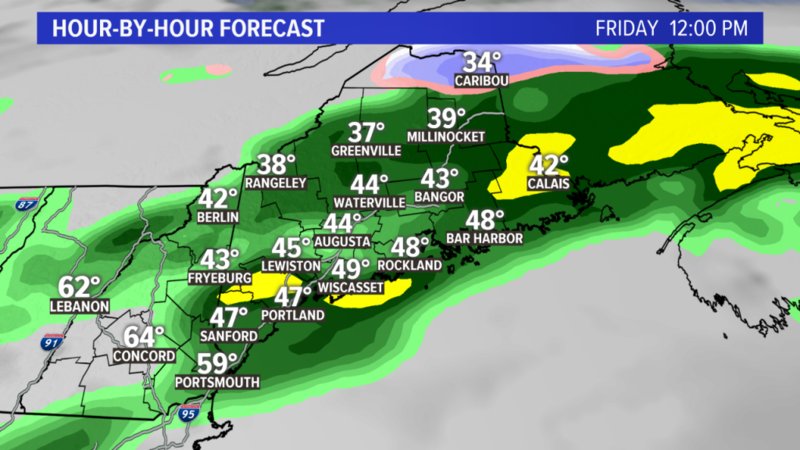 Scattered showers are likely in the afternoon, especially in southern and western Maine. 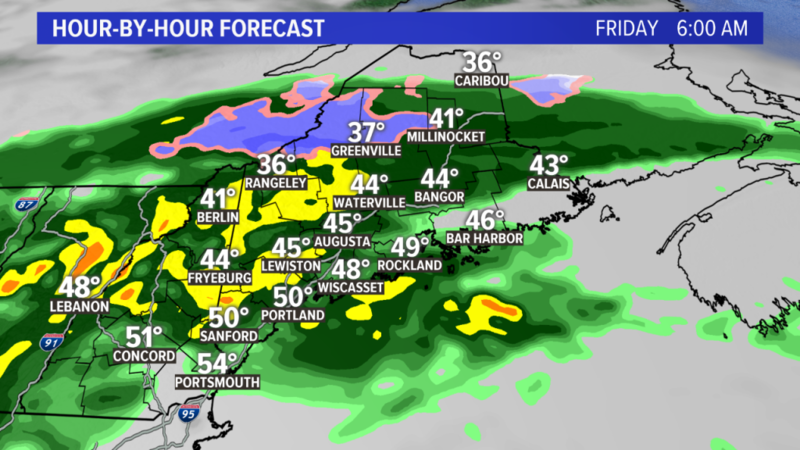 Heavier rain moves in Thursday night into Friday morning. Periods of rain will continue into the midday Friday. The rain should lighten up a bit during the afternoon into early evening, but it’ll remain cloudy and damp with drizzle and occasional showers. 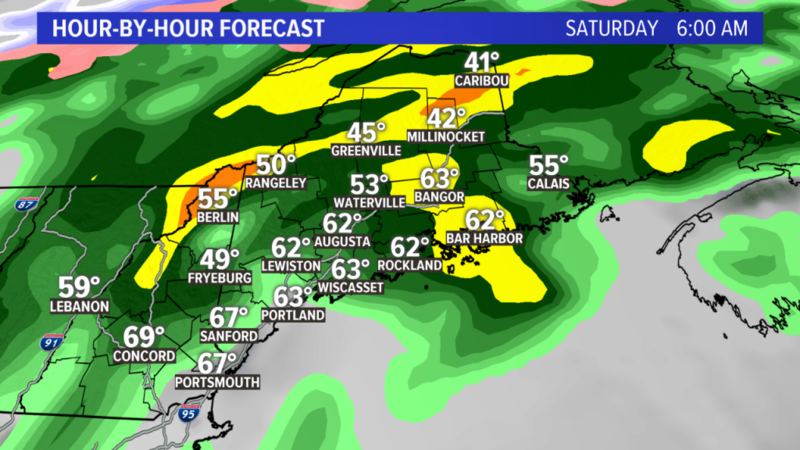 Another round of heavy rain will come in Friday night into Saturday morning. Expect downpours to roll through into the morning hours. An additional 1 to 1.5 inches of rain is possible from this round too. In total, we’re looking at between 2 and 3 inches of rain between Thursday night and Saturday afternoon. We’ll have to keep an eye on the rivers, especially the smaller ones. Given the amount of rain we’ve had in the last two months, it may be enough to push some of them close to or into minor flood stage.